"Who's at the Continental?" is a phrase you hear a lot in Austin. Open since the 1950s, the Continental is legendary. 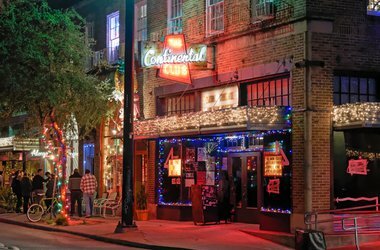 Located in a strip of stores along South Congress Boulevard, it's been a supper club and a burlesque club but for the last four decades has been the premier place to see live music. If you're lucky, Patricia Vonne, Haybale, or Joe Ely will be putting on a show.